Mazars have dedicated teams responsible for payroll, visas and work permits and legal advisory services. We can support you with comprehensive payroll outsourcing services. Our services provide increased levels of confidentiality, greater efficiency and enable you to concentrate on your core business. Most importantly, we will ensure that your staff are paid on time, every time. As your business continues to grow and expand both locally and internationally, managing staffing and payroll becomes increasingly complex. Failure to file accurate and timely returns, pay staff correctly or maintain payroll confidentiality could put you at risk of financial penalties and more critically, loss of staff goodwill. We work with you to eliminate these risks. Our payroll solutions are completely flexible and scalable, allowing you to choose the level of service that is most appropriate to your needs, both now and in the future. Our teams will undertake all payroll administration and processing activities, increasing efficiency and productivity by enabling your own staff to focus on the business’ core functions. Mazars have partnered with HReasily to deliver cloud payroll solutions to our clients. 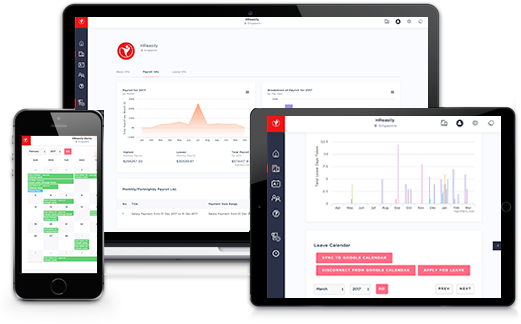 HReasily increases efficiency, reduces administration, improves processes and provides clients with real-time access to payroll reporting.